Our objective was to study neonates born to insulin-dependent diabetes mellitus (IDDM) mothers to detect the spectrum of congenital heart disease (CHD). Between July 2000 and June 2001, a prospective study of 100 consecutive infants of diabetic mothers (IDMs) at King Khalid University Hospital in Riyadh was undertaken. Family and maternal history, physical examination with special attention to the cardiovascular system, and echocardiography were performed. A total of 100 consecutive IDMs examined. The most common echocardiographic findings were patent ductus arteriosus (PDA; 70%), patent foramen ovale (68%), atrial septal defect (5%), small muscular ventricular septal defect (4%), mitral valve prolapse (2%), and pulmonary stenosis (1%). Hypertrophic cardiomyopathy (HCMP) was observed in 38% of cases, mainly hypertrophy of the interventricular septum. Severe forms of CHD encountered were D-transposition of great arteries, tetralogy of Fallot, and hypoplastic left heart syndrome (1% each). Isolated aortic stenosis and coarctation of aorta were not encountered in this series. 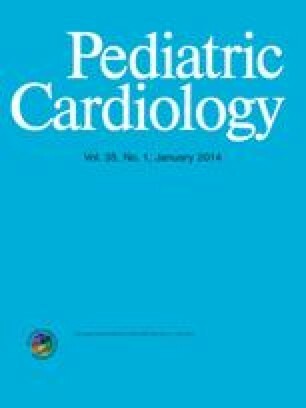 Overall incidence of congenital heart disease was 15% after excluding PDA and HCMP. Maternal IDDM is a significant risk factor for CHD. Careful evaluation and early diagnosis of CHD in this high-risk group are highly indicated. There is a need for development of prenatal screening programs for CHD in our population.